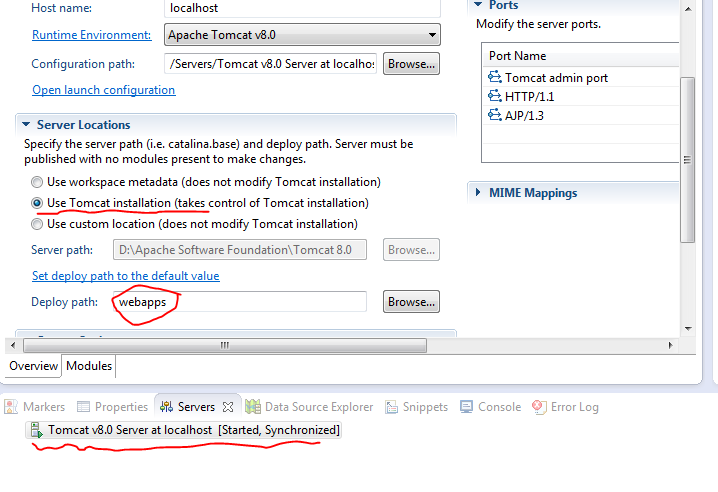 To get rid of that, Double click on “Tomcat v8.0 Server at localhost”. 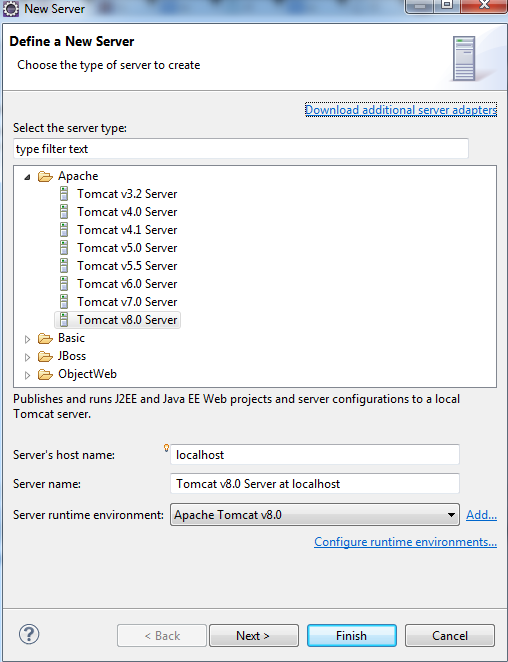 In the window that opens up, select “Use Tomcat installation” and, change deploy path from wtpwebapps to webapps. Look at the figure below. Thanks a ton ! Clear instructions and it saved a lot of my time. Thanks for your comment, Karthik. Hi, what if you can’t edit the “server locations”? It is disabled in my eclipse. Thanks … It works on my elipse juno….